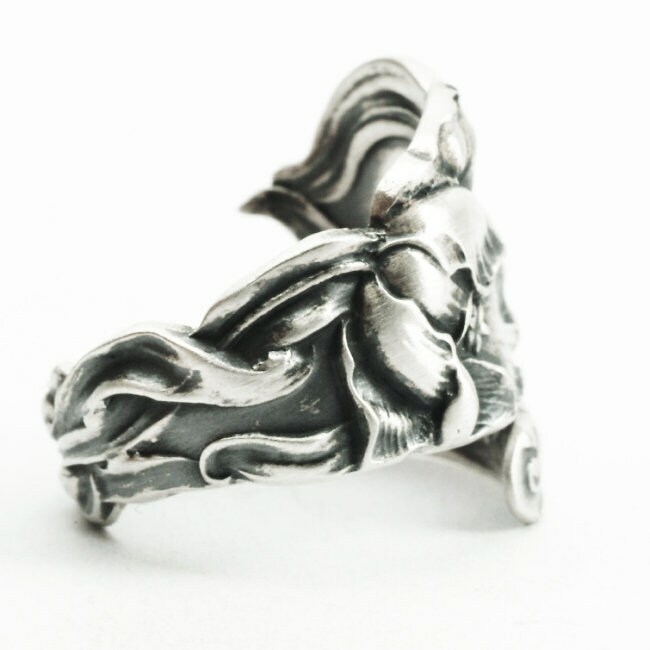 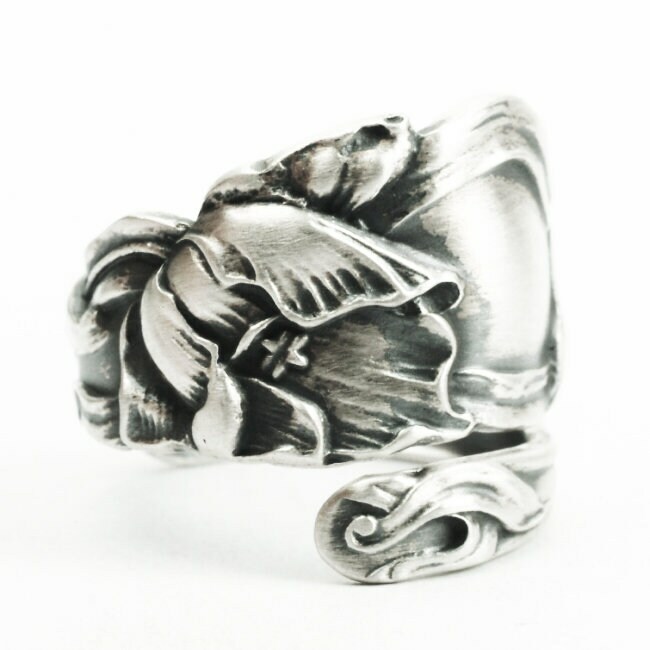 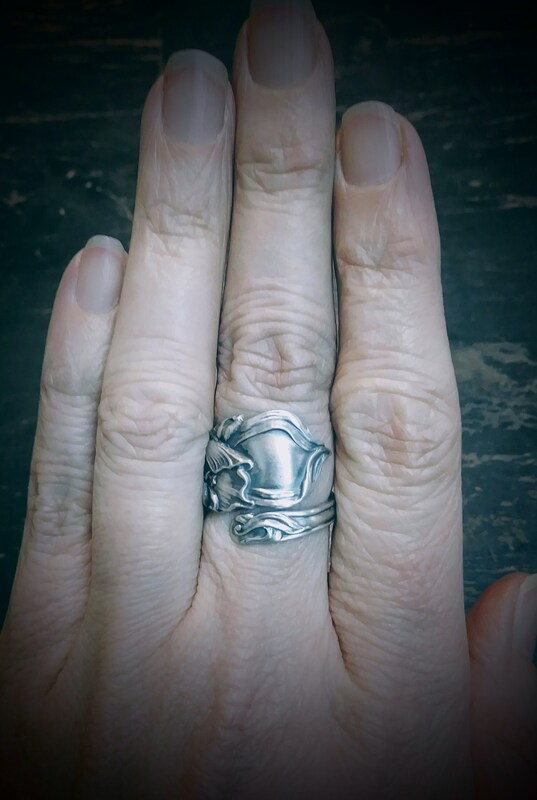 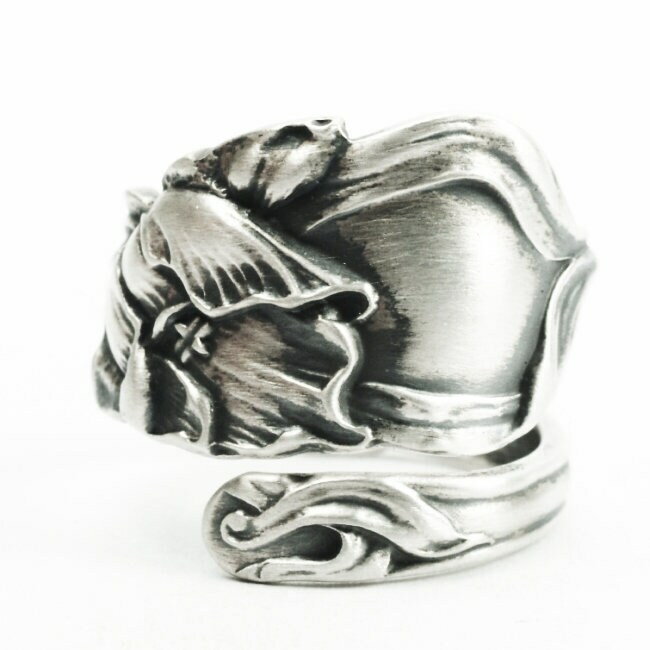 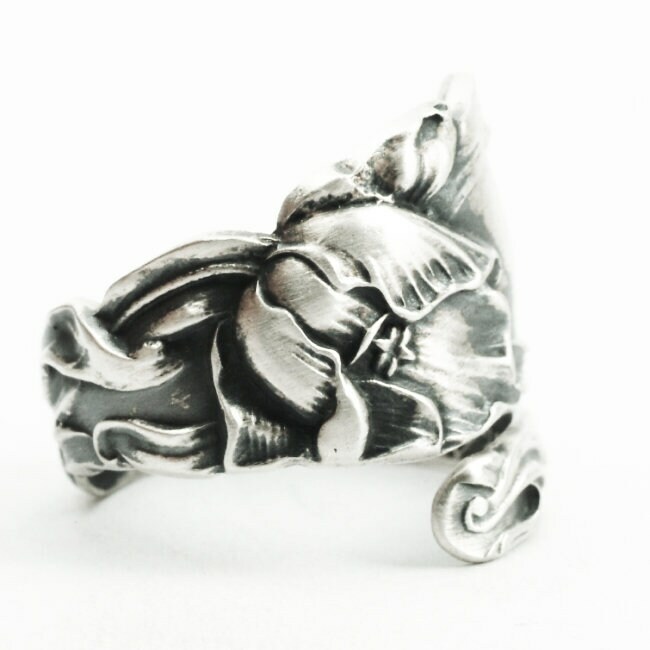 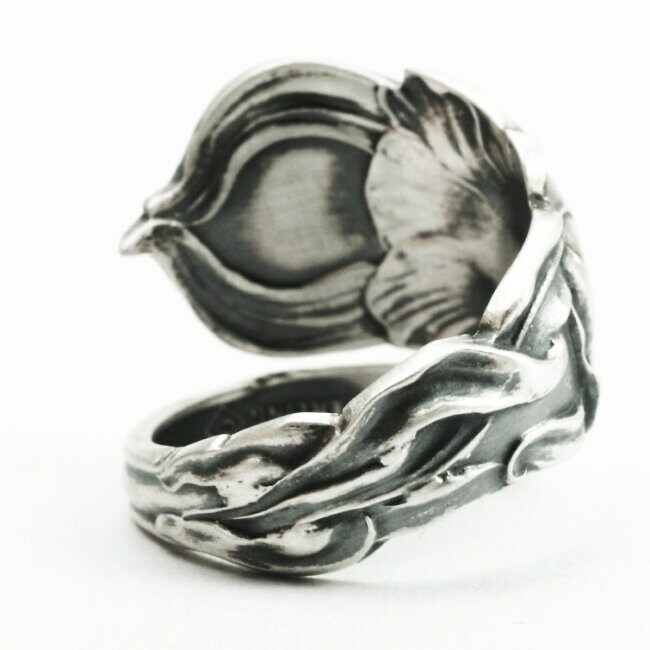 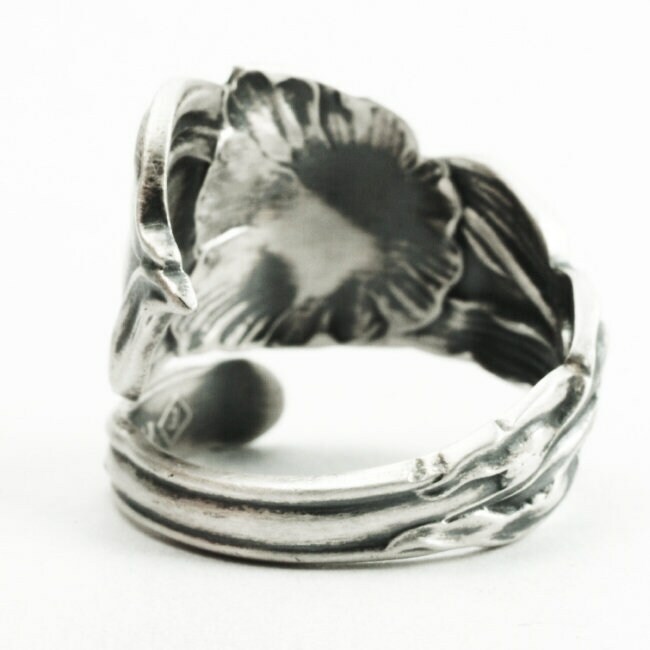 This ring depicts a Tulip in bloom and is created from an original Sterling Silver spoon. 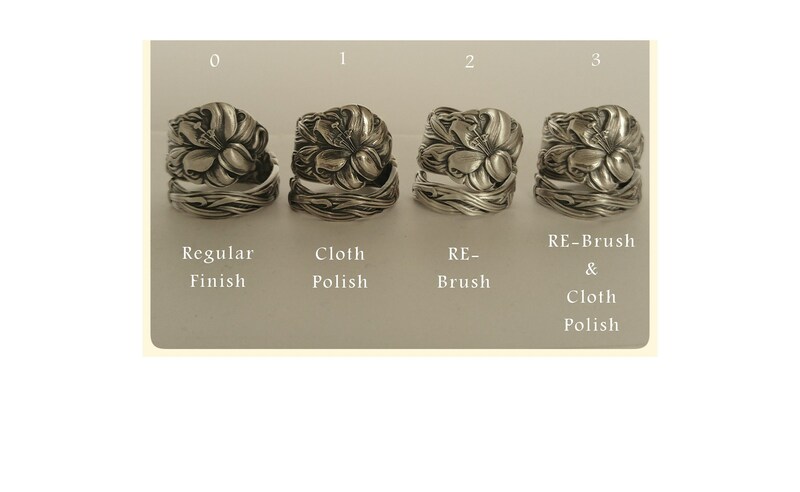 The spoon was created by Fessenden Co., and was made in 1910! 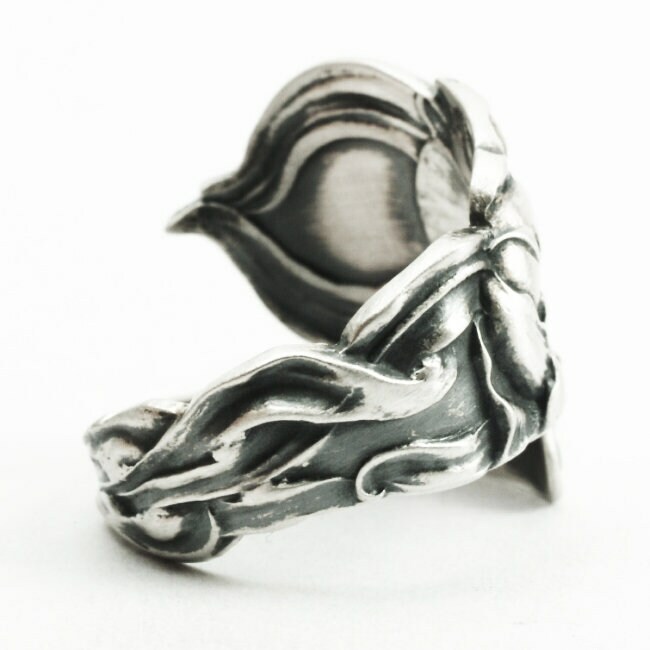 Oh-so Art Nouveau with it's ornate and flowing slender leaves. 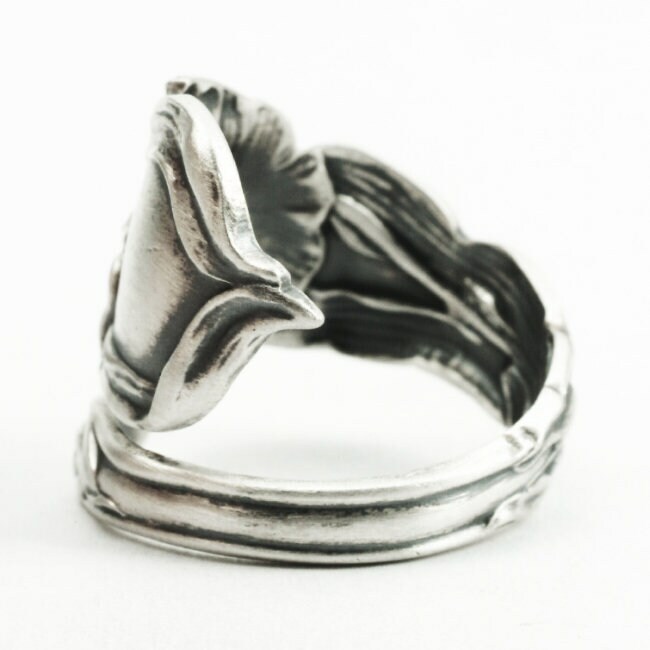 Different tulip colors carry distinct meanings - yellow tulips symbolizing cheerful thoughts, white conveying forgiveness while purple tulips are representative of royalty.